Shane proposed to Robecca on the beach in Mexico… with an $8 ring from Meijer. But that isn’t what matters. 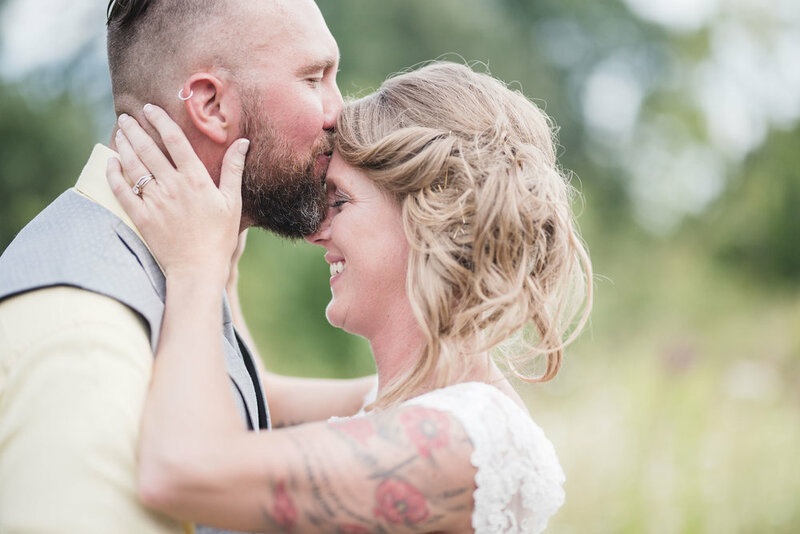 Robecca said yes and before they knew it, we found ourselves at Little Brook Meadows in Lancaster, Ohio, on a warm day in August for their wedding day. 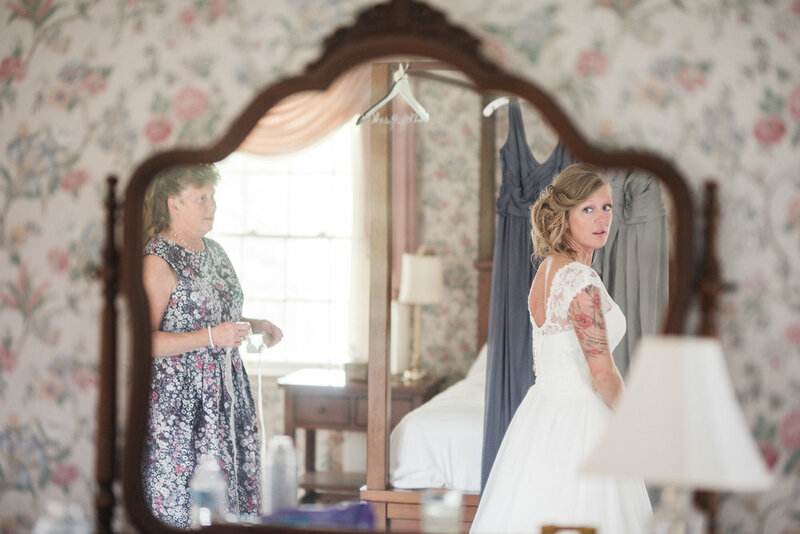 Little Brook Meadows is a spectacular venue, with a huge barn (the concrete floors are heated!) with an optional mansion that I have literally gotten lost in, it’s so big! 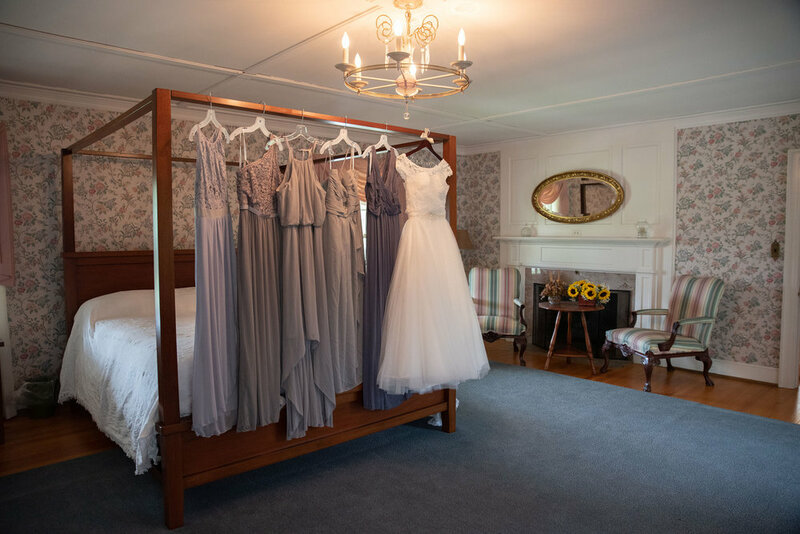 This was the perfect place for their wedding with their big bridal party and all their friends and families together. 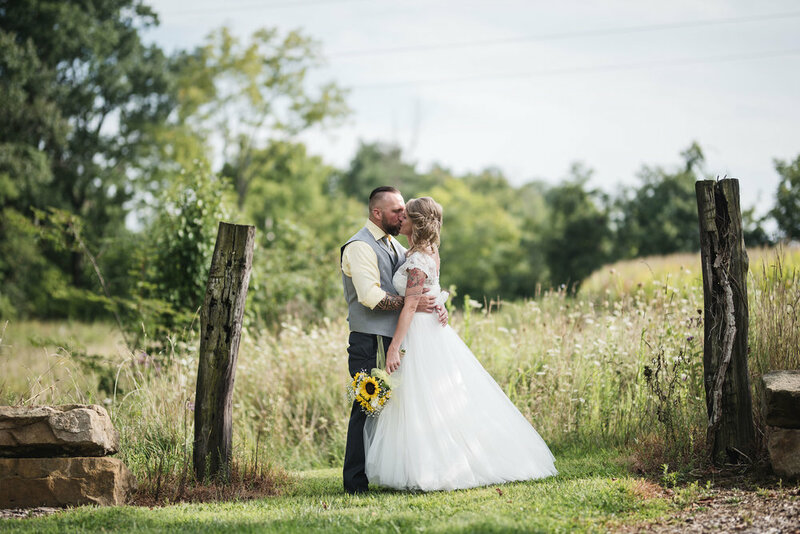 The theme for Robecca and Shane’s wedding day was gray and yellow country rustic and it was exactly that. 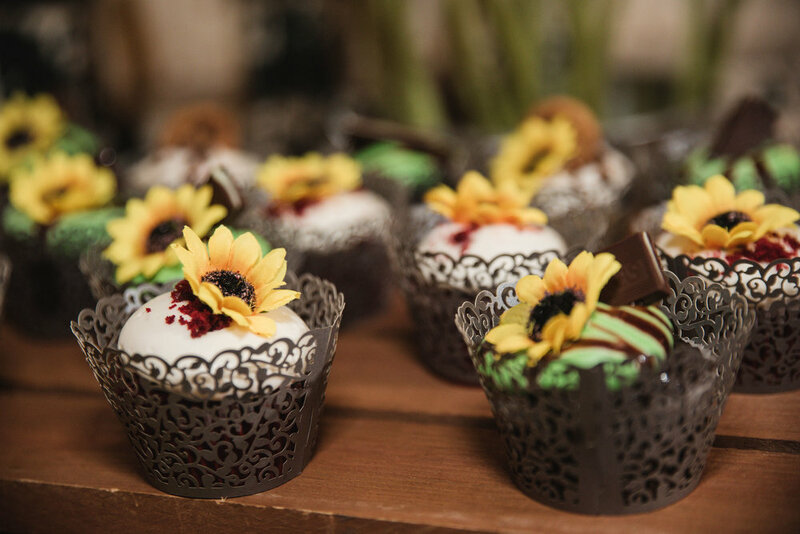 Sunflowers adorned the tables and desserts and they had a popcorn bar for guests to snack on as the party went on into the evening.